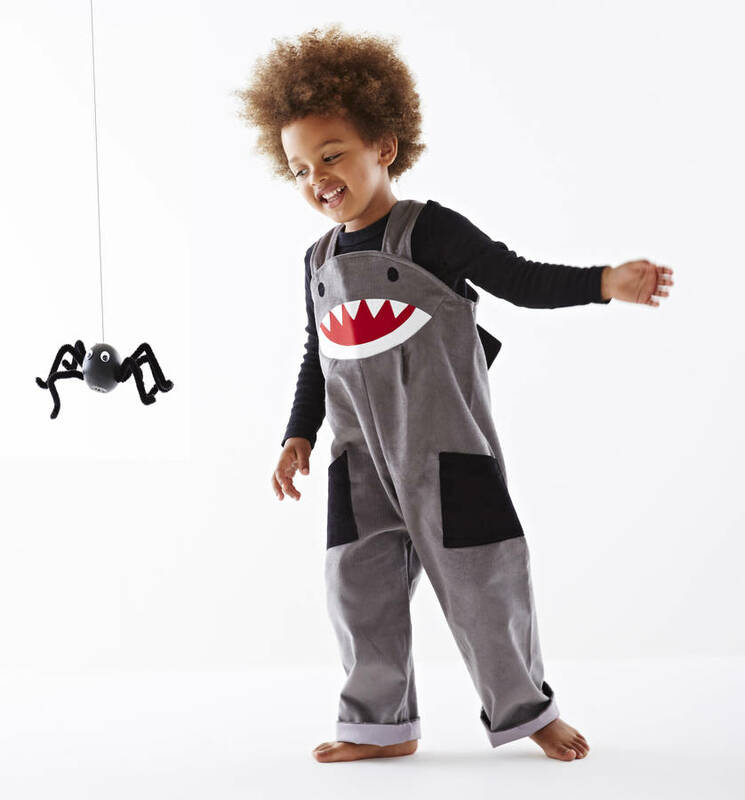 Shark baby and toddler dressing up play costume in grey cord. 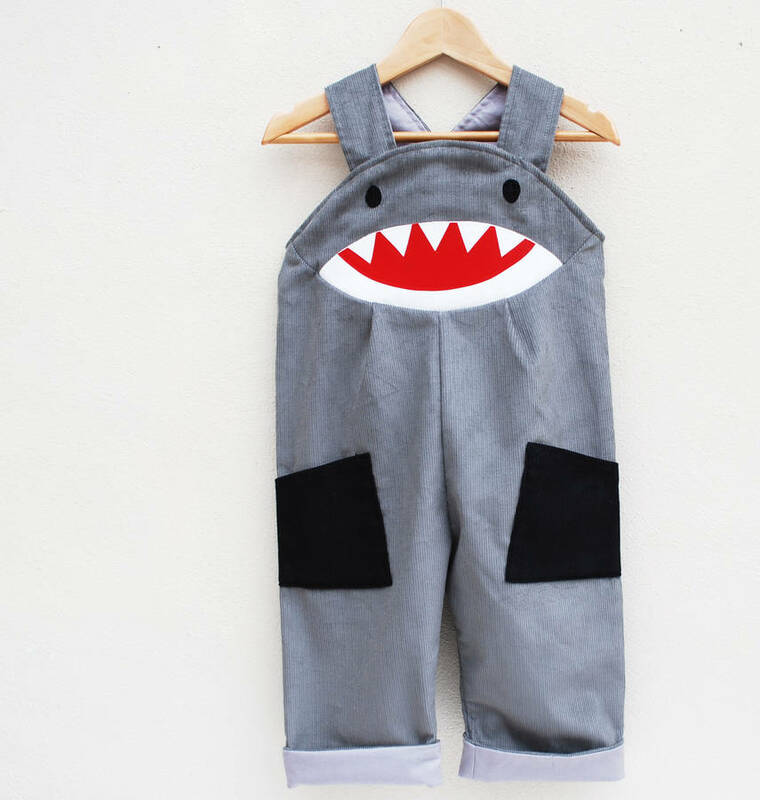 Shark handmade baby and toddler dungarees. 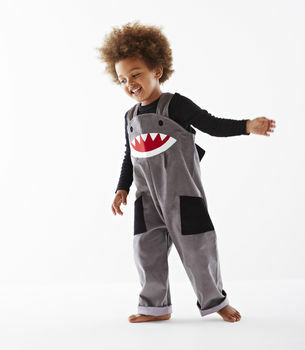 Shark dungarees in grey cord with a scary hand-applique face and teeth, complete with a padded fin on the back for the ultimate shark attack! 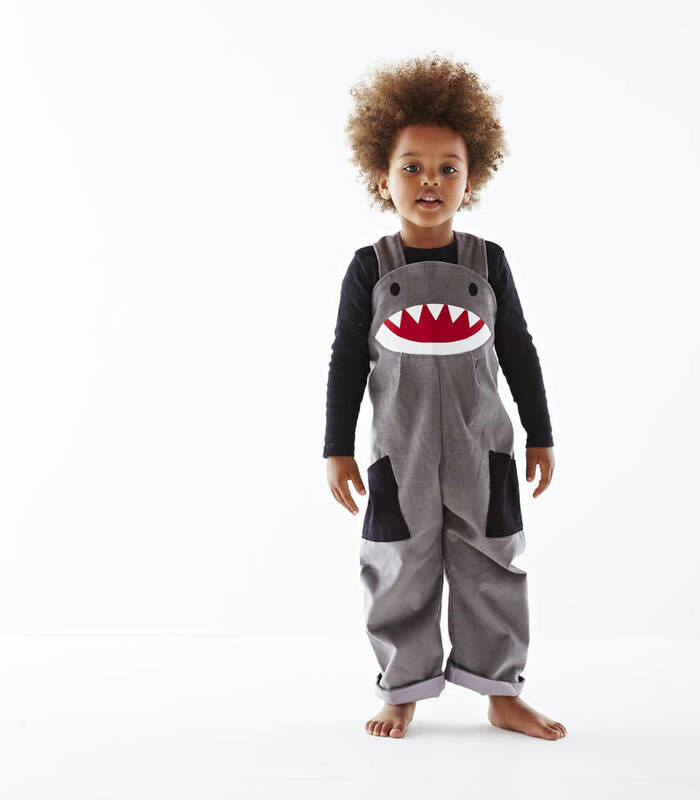 Perfect for dressing up or every day pretend play these shark dungarees have a fastening detail on the inside of the front for easy fitting and optional contrast turn ups. 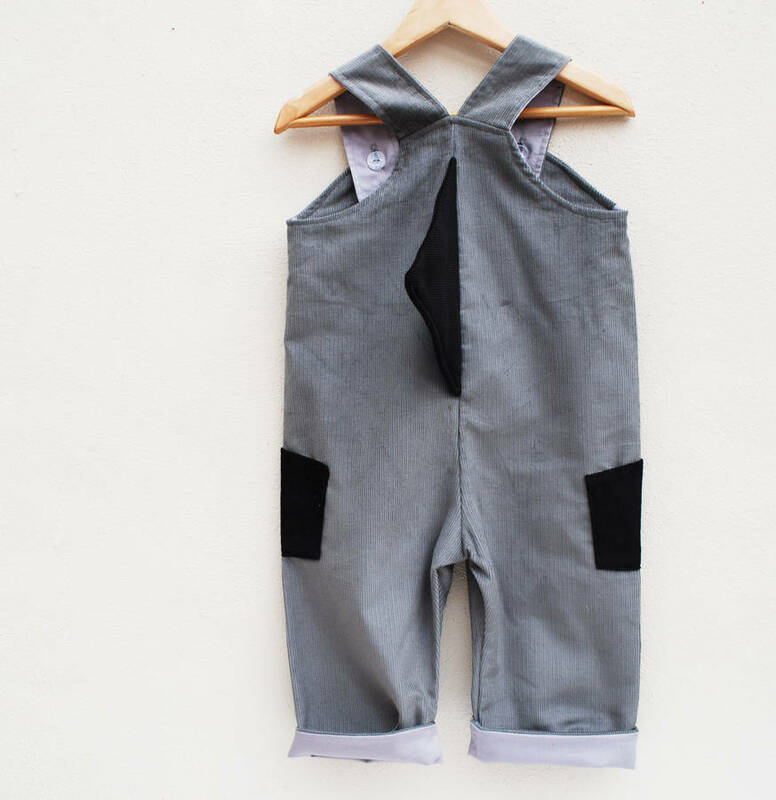 The padded fabric fin on the back makes a stunning detail, yet is comfortable to wear. There are two black fin pockets. 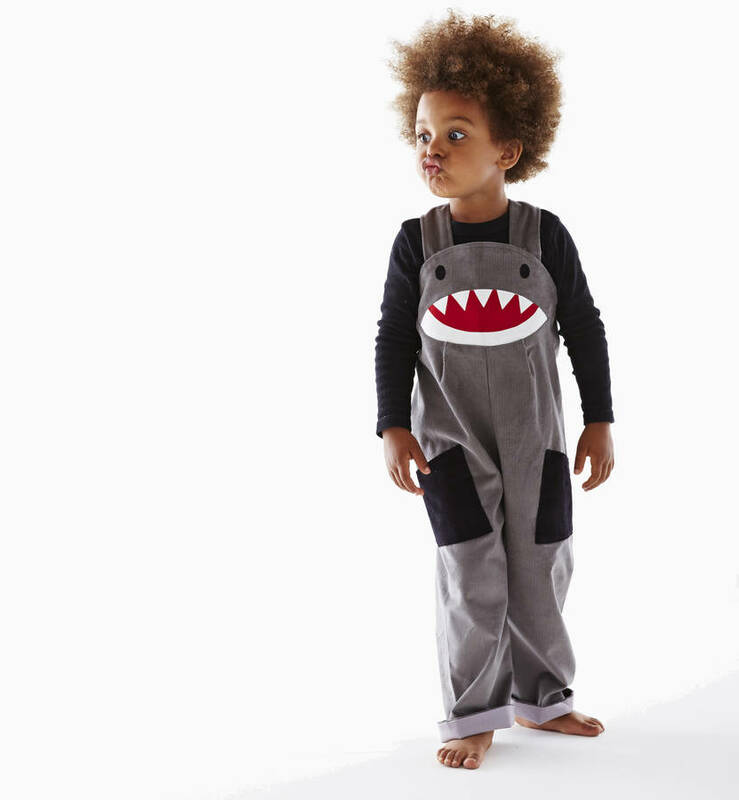 Proudly handmade in the UK by Wild Things. 100% cotton, European quality super soft moleskin. Wash at 30 degrees on a gentle cycle.